Plastic bottles can be a lifesaver when you are traveling for long hours and need to carry a drink with you. However, using and reusing old plastic bottles may make their insides look and smell quite old and gross. Here are a few easy tips on how to clean plastic bottles from inside and have them as good as new once again! Besides the homemade solutions you can read reviews of some of the best cleaning products such as the Hydrapak Bottle Tablets, you can buy on Amazon today. 6 How do you disinfect plastic bottles? 7 How do you get mold out of plastic drinking bottles? This is probably the easiest and fastest working method to clean the insides of your plastic bottles. Add some warm water halfway up your plastic bottle, and add a few drops of any dishwashing liquid into the bottle. Now, shake the plastic bottle in up and downwards motions, sideways and circular motions to really get the soapy water all over the insides of the plastic bottle. Using a special bottle brush, scrub the inside of the bottle cap as well as the insides of the plastic bottle gently. I use the OXO Good Grips Bottle Brush, which you can get on Amazon. Scrub the insides of the plastic bottle properly to reach all the nooks and corners of the bottle. Leave the bottle in the open air to dry naturally. Vinegar and baking soda can help to clean and sanitize the insides of your plastic bottle effectively for you to reuse your bottle without the fear of germs. Vinegar is an ideal cleaning product as well as a good sanitizer. Fill up your plastic bottle 1/5th of the way with white vinegar, and fill the rest of the length of the bottle with warm water. Add just a teaspoon of baking soda to this solution. Allow this solution to sit overnight undisturbed, and in the morning, rinse out the inside of the bottle with hot water and towel dry the bottle. Raw, uncooked rice can be extremely helpful in cleaning the insides of plastic bottles, especially those bottles which are irregularly shaped. Add a few drops of dishwashing soap, some warm water, and fill the inside of the bottle up to 1/4th with raw, uncooked rice. Make sure that you fill the rest of the part of the bottle with warm water without leaving much space inside. Vigorously shake the bottle in every direction for about a minute or two. The rice will reach into all the nooks and corners of the bottle which a brush might not otherwise reach. The warm or hot soapy water will help loosen up any sticky residue inside the bottle. Empty out the contents of the bottle using a strainer so that you can catch the rice and not let it fall down your drain, as this might clog your drains. Rinse the bottle thoroughly using clean water, and repeat this process a few times if you feel necessary. Use an antibacterial soap to finally rinse out the inside of the bottle and remove any final residue, before reusing the bottle again. Add a few teaspoons of coarse salt to the inside of your bottle, and fill up the bottle with hot or warm water. Swirl the bottle around so that the salt reaches all the little ends of the inside of the plastic bottle. Empty out the contents of the bottle and rinse it out well with antibacterial soap, or using a drop of bleach. Make sure that you rinse out the bleach well before using the plastic bottle again. 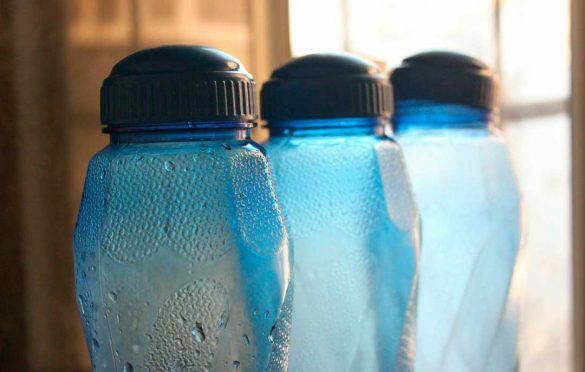 These home remedies can be really effective in cleaning the insides of your plastic bottles. However, if you are looking for a stronger, commercial cleaning product for the same, here is our pick of the top 3 commercial cleaners for the inside of plastic bottles. 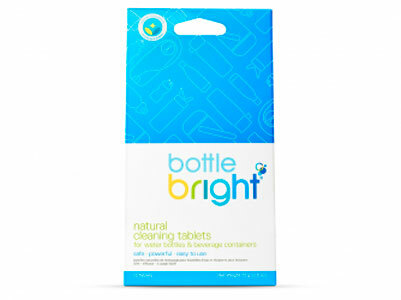 A solution as easy as – drop, foam and clean; Bottle Bright tablets are the perfect solutions to getting rid of dirt and musty smells from the inside of your plastic bottles. The product has a slightly mild scent of its own which can remain in the bottle. However, if you rinse out the inside of the bottle with warm water after using the tablet, this smell will disappear. A no-scrub, no-chemical, easy to use solution for your plastic bottles. Click here to check the current price on Amazon. 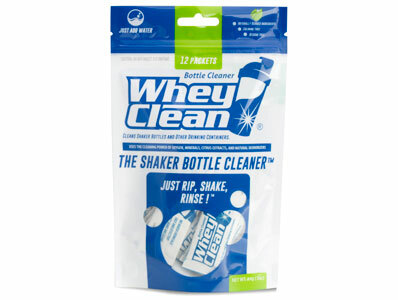 A product made specially to remove the mucky smell of protein shakes from plastic bottles, WheyClean works fast and effectively for the inside of any plastic bottle to remove any kind of dirt. While the powder leaves no residue, it can leave a slightly mild scent. It is best to rinse out the plastic bottle before reusing it. One of the fastest working cleaning solutions for plastic bottles. Click here to check the current price on Amazon. The Urnex Bottle Cleaner Tablets, clean the inside of your plastic bottle in 30 minutes, leaving it sparkling clean and odor free! Great cleaner for travels. Some of the stains can be hard to remove. Especially old ones. However, just let the tablet sit for 60 minutes and you are good to go. In the worst case, you can repeat the process. This is a simple to use tablet, which you can easily carry around anywhere you need! Click here to check the current price on Amazon. How do you disinfect plastic bottles? Often, the best and easiest way to disinfect plastic bottles is simply by using boiling water. This kills the germs and bacteria on the plastic bottles. Remove any labels from the plastic bottle if there are any present. In a mug or a medium sized bowl, place all the caps of the plastic bottles. Fill up the container with hot water and add some liquid dishwashing soap to the water. This will ensure that you can clean the bottle caps without losing them down the drain. Take a large pot and fill it up with hot water. Place the plastic bottles either one at a time or all together, into this large pot. Set the pot on the stove and allow the water to come to a boil. Let it sit for about 5 minutes, which should be enough to disinfect your plastic bottles completely. During this time, use a scrubbing brush to clean the bottle caps well. Fill the bottles with warm water and shake the water inside the bottle to rinse out anything that might be left inside the bottles. Turn the bottles upside down on the rack and allow them to air dry. Let this happen overnight, as you want to wait till the bottles are completely dry before filling them up with water once again. How do you get mold out of plastic drinking bottles? Fill up your plastic bottles with warm water. Add some liquid dishwashing soap into the bottle. Shake the bottles vigorously to clean the insides of the bottle well. Take a long neck bottle brush and scrub the insides of the brush. Be sure to get to the corners well so that you can target all the mold from inside your plastic bottle. Using warm water, rinse out the soapy water mixture. Keep rinsing the bottle until it is completely rid of soap water. Pour some undiluted white distilled vinegar into the plastic bottles. Once again, take your scrubbing brush and clean the inside of the bottles well. You should also remember to scrub the outer rim of the plastic bottles as well as the bottle caps. Rinse the plastic bottles with fresh water and allow them to air dry naturally. Take your plastic bottles and fill them up with warm water. Add one or two drops of tea tree oil into the plastic bottles. Take your bottle brush and scrub the insides of the plastic bottles well. Remember to scrub the outer rim of the mouth of the plastic bottle as well. Pour out the tea tree oil and water from your plastic bottles and rinse it out well. You can even use some dishwashing soap to rinse out the water to remove any strong tea tree oil smell from your plastic bottle. Allow your plastic bottles to air dry. Take your plastic bottle and pour half a cup of 3% hydrogen peroxide into it. Screw the bottle caps on and swirl the hydrogen peroxide along the inside of the plastic bottle. Remove the bottle caps and allow the plastic bottles to sit undisturbed overnight. The next morning, pour out the hydrogen peroxide and rinse the plastic bottles well with water. Allow the plastic bottles to air dry. Nice guide. These are some good alternative ways in cleaning plastic bottles. I hope people would clean and reuse plastic bottles all the time if they can’t recycle it. Great work! This will surely make cleaning easier! Thanks for the sharing.such a valuable information.